Blood-Red Pencil: Don’t Shoot Yourself in the Foot! Don’t Shoot Yourself in the Foot! Here is another bit of advice from Jodie Renner. We always appreciate the fact that she is so willing to be our guest now and then and share some of her experience and expertise. You’ve spent months or years writing your novel. Then you’ve found a writer friend or freelance editor to help you polish it up and get it ready to send to agents and acquiring editors. Maybe you’ve spent hundreds of dollars on a copy edit, detailed line-edit, or even thousands on a developmental or substantive edit. After many revisions, the manuscript is finally ready to send out to literary agents and publishers. The standard first approach is to submit a query letter and a synopsis. You’re eager to get the book out fast and you think, “Anybody can write a query letter,” so you whip one off quickly and send it around, with a synopsis you threw together. You wait. And wait. All you get back are a few form rejections. You know you’ve got a great story, well told, and your editor and/or writer friends have confirmed that and encouraged you to seek publication. What’s the problem? I’ve spent months working closely with writers on their novels, with all kinds of back and forth and revisions and more revisions until we’re both very happy with it, only to have them say they can do the query letter on their own. Then I follow up later and they say they’ve received only rejections. I ask to see their query letter, and it’s obvious why—hasty writing, no hook at the beginning, typos, details and info included that should be left out, the most compelling aspects of the story not mentioned—the list goes on. So their manuscript sits, gathering dust, either literally or electronically. This has been so frustrating to me that now I include free editing of the query letter after I’ve edited the manuscript, just to put my own mind at ease. For all the effort you’ve put into making your story the best it can be, don’t shoot yourself in the foot by skimping at query-writing time. And it’s best to get a qualified copy editor or an excellent writer to help you with it— someone who’s read the manuscript. I’ve gone over a query letter nine or ten times with a client, just for content and wording to punch it up more, before a final proofread. First impressions are everything, and your query letter is your introduction to the agent or acquiring editor. This is your foot in the door. Don’t shoot it. 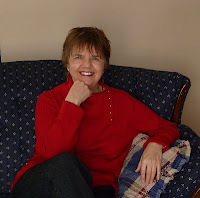 Guest blogger Jodie Renner is a freelance fiction manuscript editor, specializing in thrillers, romantic suspense, mysteries, romance, YA, and historical fiction. Jodie’s services range from developmental and substantive editing to light final copy editing and proofreading, as well as manuscript critiques. Check out Jodie’s website at http://www.jodierennerediting.com/ and her blog, dedicated to advice and resources for fiction writers, at http://jodierennerediting.blogspot.com/. Posted by Maryann Miller who has not shot herself in the foot recently. She learned this valuable lesson a long time ago, and also helps clients with their query letters and proposals. Such an excellent point, Jodie. Even natural-born storytellers and gifted wordsmiths can fail the query letter challenge. An outside eye from some one with insider industry knowledge AND marketing savvy is well worth the effort and nominal expense. Thanks, Kathryn. Yes, even accomplished writers need a second set of eyes to look over their work for typos and the occasional style gaffe. But for an outside eye to help you polish your query and make sure it reflects your writing style and voice and accurately portrays your story's drawing points, I think it's important to find someone who has read your book, or at least read through your synopsis carefully. I've read query letters by clients whose books I've edited, to find that, in more than one case, they had changed the original plot, characters or other details of the book, but forgot to do so in the query letter! So the query was essentially giving out incorrect information about their story. Someone who hasn't read their book or at least a detailed synopsis wouldn't pick up on that. Good point, Jodie. It might also give off the wrong tone. Early in my career I made that gaff with a business card I'd made up for a novel I was pitching at a conference. The agent wrote back to say she had expected a "fun read" and, based on that expectation, she found my ms depressing. Since it's about a thwarted suicide attempt I couldn't understand why on earth she would have expected a "fun read"--until I realized that the graphic representation of the title I'd used on my business card was too light-hearted. Everything you say and every piece of paper you generate contributes to the marketing whole, and any misstep can derail your attempts to publish. Absolutely, Kathryn. The query letter should definitely match the tone of the novel, and indicate to the agent not only the genre, but the subgenre and mood. If your novel is humorous, try to inject a bit of humor and a light-hearted tone into the query -- and vice-versa, of course. Good points Jodie and Kathryn. Since so many writers are not marketing-minded, we don't think about the importance of those little details. Sigh. This writing business gets more and more complicated every day. But if we don't pay attention to these details, we will not make much of a splash in the marketplace. Cool article. Thanks for sharing. I don't send out those kind of query letters anymore, but your advice applies to all kinds of communication: important emails, press releases, etc. It's too easy to get in a hurry, a mistake I'm prone to make. Thanks for the reminder! What great advice! Sometimes writing the query can seem more difficult than writing the manuscript! Having someone edit it seems like a perfect idea. Also, follow the publisher's instructions to the letter. (That's assuming you are dealing with a professional company with submissions guidelines posted on their website. )When they say to keep the query letter length to one page, do it. If they ask you to include three separate pieces of information within the query, include them all even if you're weak in an area. It's a test, it really is a test. If you seem dense or difficult at this stage of the process, it can cost you a contract. Thanks, Maryann, "term papers," LJ, PK and Dani. Dani, you are so right! Thanks for spelling out that very important information! I've read articles from a number of literary agents and publishers who were so frustrated that the authors hadn't bothered to read and follow their submission guidelines (clearly stated on their website) that they didn't bother to read the submission. That would definitely qualify as another way of shooting yourself in the foot! If they say "no attachments" for example, put your query and first chapter or whatever they ask for in the body of your email, NOT in an attachment! Also, never address your query letter to "Dear Sir or Madam:" or "To Whom It May Concern:"! Find out the name of the acquiring editor or the agent who is accepting manuscripts in your genre, and use their name. And not "Dear Jane,". You're not on a first-name basis yet. Use, "Dear Ms. Smith:"
And be sure to thank them for their time and consideration at the end.